Wedding Coordinators are a group of volunteers who coordinate rehearsals and assist at wedding ceremonies. Usually two ministers team up to help with one wedding. They contact the couple to obtain information about the ceremony to help the rehearsal run smoothly. On the day of the wedding, ministers set up the church (kneelers, Unity Candle, etc.) and help everyone get organized and down the aisle. Every person is a precious gift, created out of love by God and made in His image and likeness. Therefore, each human life deserves profound reverence and dignity from conception until natural death. We seek to promote this truth through prayer, education, advocacy and ministry in our parish and community. In striving to help couples create successful marriages, St. Paul of the Cross offers this marriage education and preparation program. The name is based on the Wedding Feast at Cana where Jesus performed his first public miracle, changing water into wine. Since “pre” means “before”, we help couples prepare for their personal wedding feast, as well as establish the foundation for a long, healthy, and happy marriage with as much, if not more, effort as they apply to planning their wedding day. St. Paul of the Cross Parish is committed to helping couples build strong, healthy, and loving marriages. Periodically, various programs and sessions are offered to married and engaged couples concerning topics related to the challenges that they face in trying to create lasting marriages. Information often includes techniques that can strengthen relationships through better communication, active listening, conflict resolution, etc. Please watch parish communications for announcements about Marriage Enrichment events. The Baptismal Preparation Class is required for all parents who wish to have their first or second child baptized at St. Paul of the Cross. The program describes the history, theology, and the meaning behind the symbols and rituals of the Sacrament, as well as the Rite itself, and the roles and responsibilities of the parents and godparents. Additional reading material is provided. 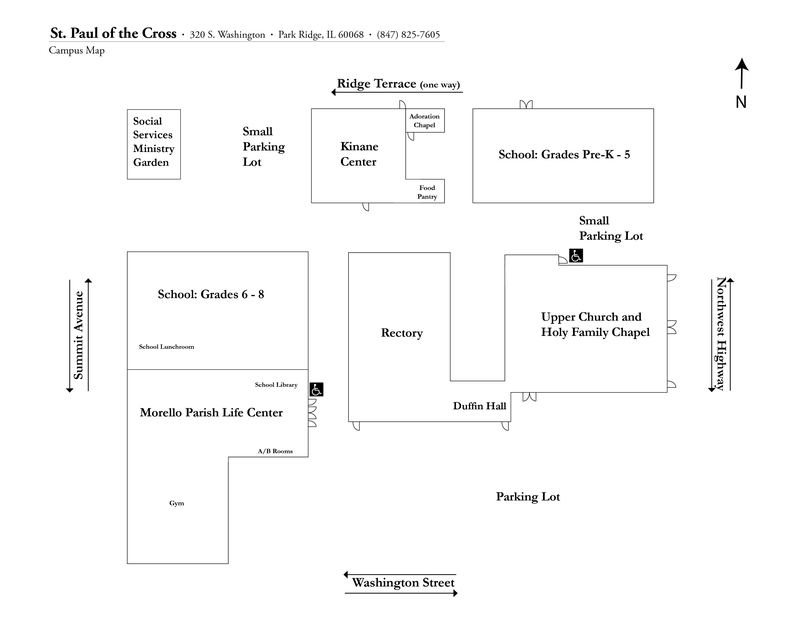 The sessions are typically held on the fourth Thursday of every month at 7 p.m. in the Parish Life Center. Registration is required.